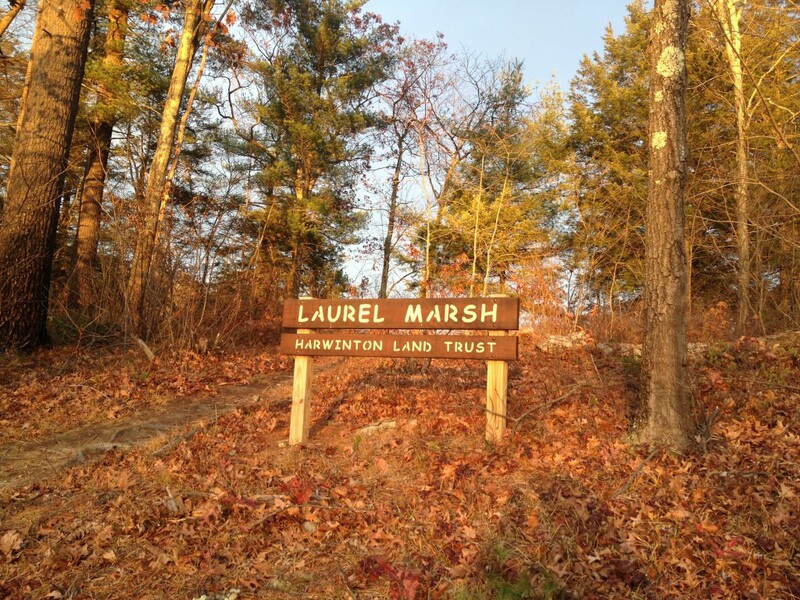 Laurel Marsh is 24 acres in size. It was donated to the Land Trust in 1997 as part of the Hock-Lebreque development of several new homes off of Laurel and Reservoir roads. 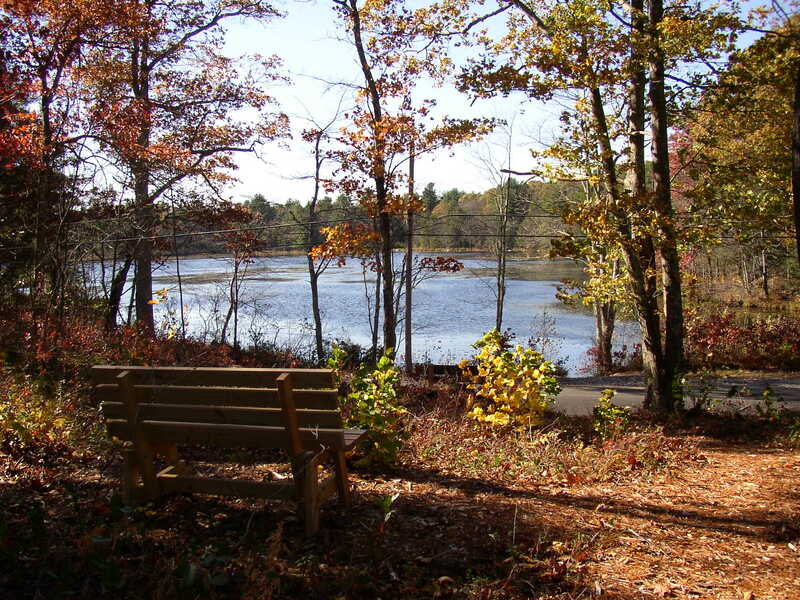 Public parking is available off Laurel Road on the dirt pull-off next to Wilson Pond (see Laurel Marsh parking location). 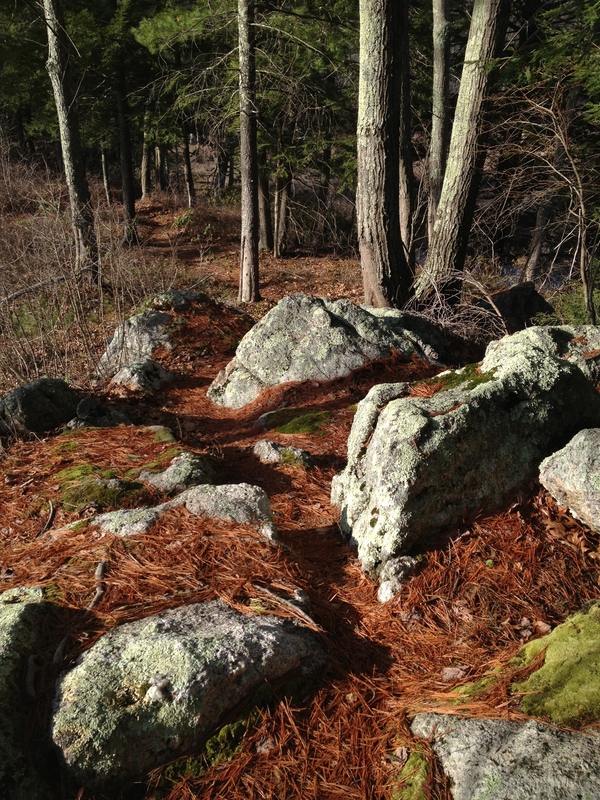 Stone steps lead up to a knoll that offers nice views of Wilson Pond. There is one geocache hidden along the marked walking path (see our Geocaching page for more information). 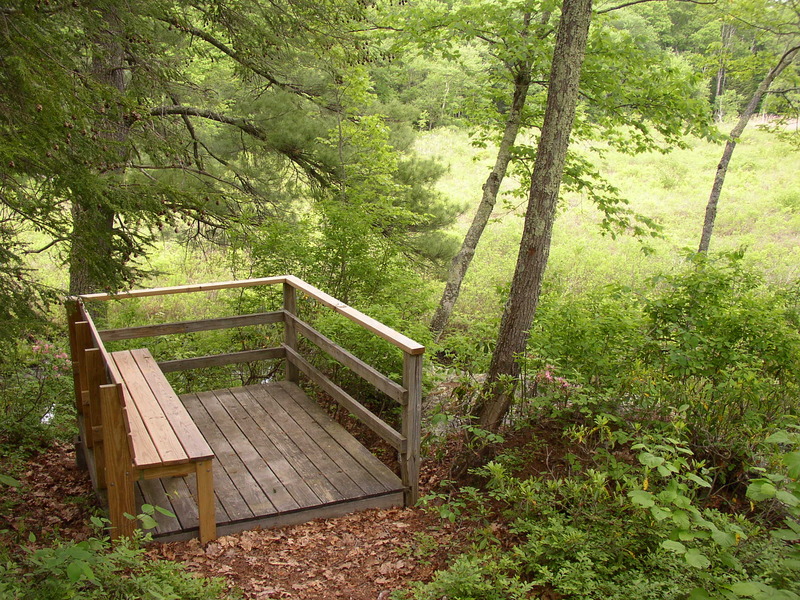 Once up on the knoll, a short path leads to an observation deck that overlooks Laurel Marsh. 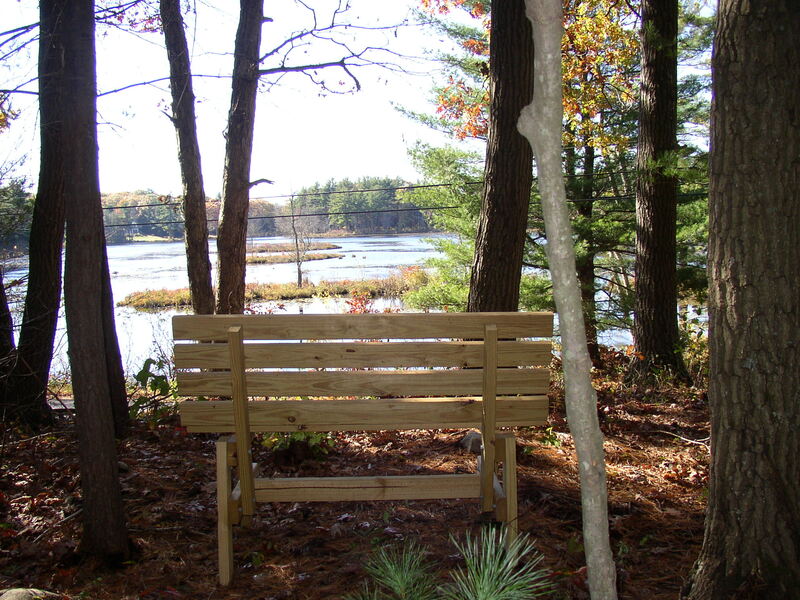 Park benches provide great views of Wilson Pond. 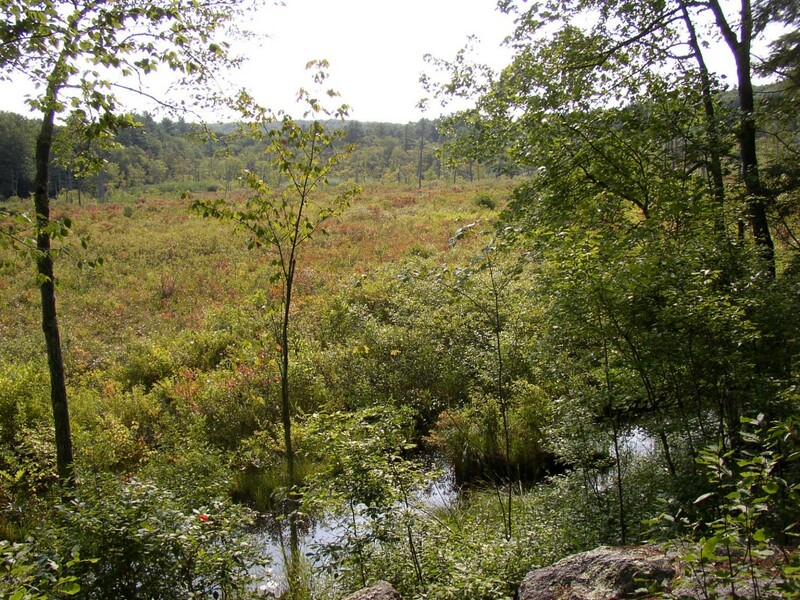 A side path veers to the right leading to the top of a rocky promontory with more views of Wilson Pond and Laurel Marsh. Laurel Marsh is very scenic and expansive. One gets the sense of remoteness, even though the road is just a short distance away. Each season brings something new to discover. 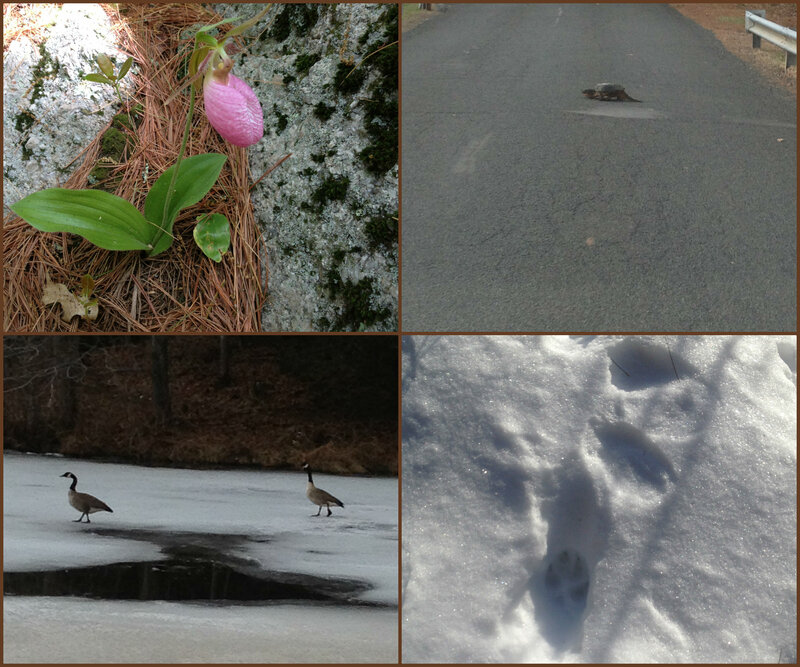 Spring brings the waterfowl and wildflowers. In summer, it is easy to find a turtle crossing the road between the marsh and the pond or basking in the sun. 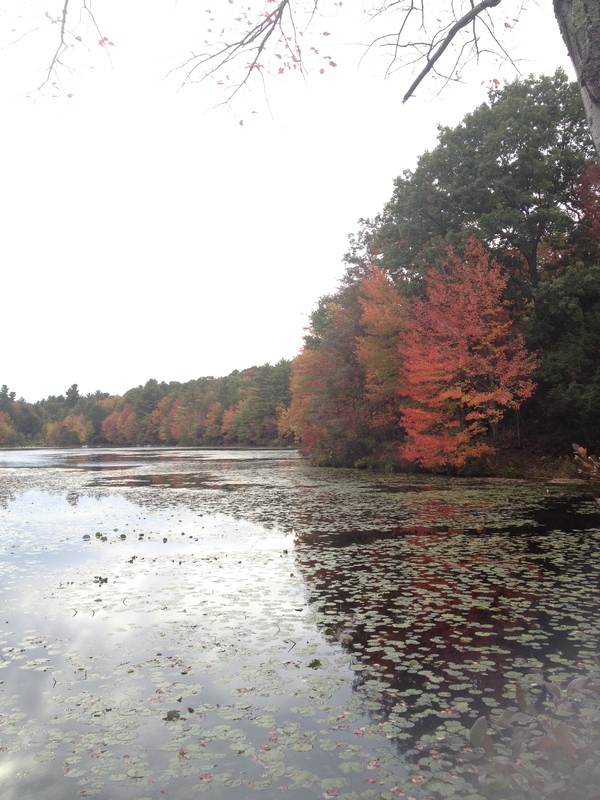 In fall, there are plenty of migrating birds landing in the pond and flying overhead. In the winter, there may not be anything to find except the tracks left behind. Eagle Scout, Joe Orefice in 2000, for constructing the observation platform. Eagle Scout, Connor McCluskey in 2011 for installing a wood duck nesting box.